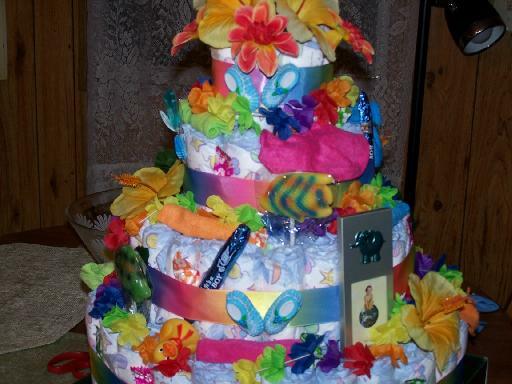 This Hawaiian-themed baby diaper cake turned out beautiful! 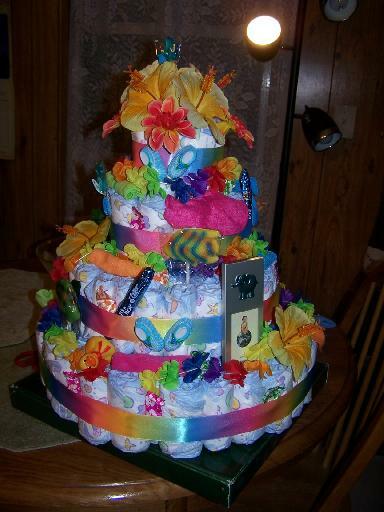 It was submitted by Kris and she included her detailed diaper cake recipe below, with the corresponding cost of each ingredient. Thank you so much, Kris, for submitting your photos and instructions - they are so helpful! 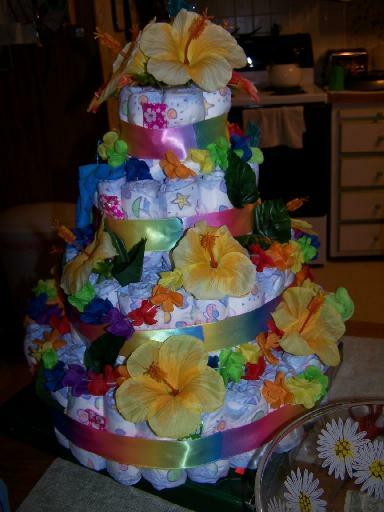 The baby shower we are giving is a large co-ed shower.The mom to be didnt want everything "babyish" so we went with a hawaiian themed baby shower. I bought everything first over a couple of days then started assembling. Total time for assembly was about 4 hours start to finish. My base isn't shown but it was a large piece of cardboard decorated to look like a beach. Thanks Again Kris! 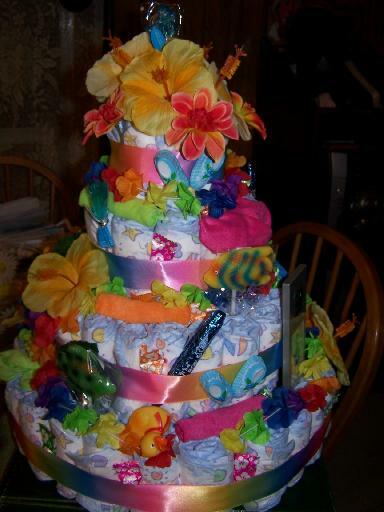 It is a beautiful Baby Diaper Cake! !